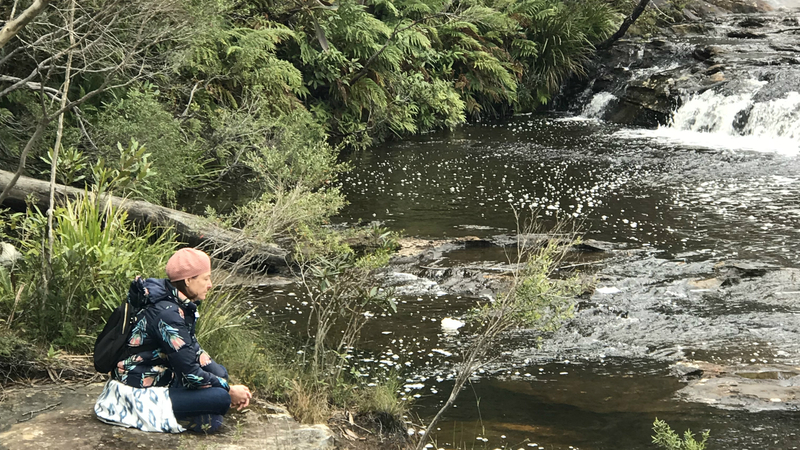 The Carrington Falls walking track and lookout point are currently closed for reconstruction after bushfire damage, however, Budderoo National Park has another gem up its sleeve: Nellie's Glen. 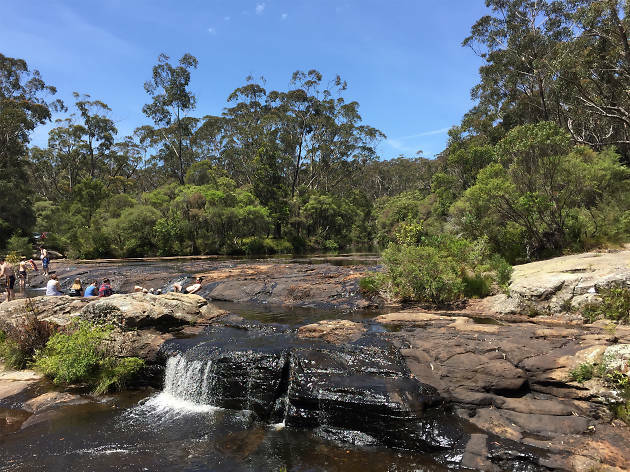 The lesser-known picnic spot connects the top of Carrington Falls with a secluded rock pool and smaller waterfall that you can swim to, shower in, and take a seat under. 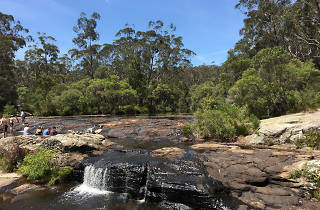 Park your car and first take a look at Carrington Falls from its flat top. 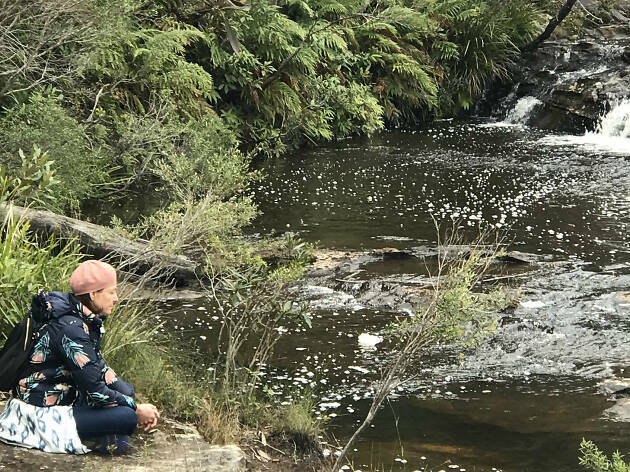 You can walk over the mossy bedrock and sit in the plunge pool, or just stand in the small slipstreams and look out at the treetops of the Southern Highlands. There are warning signs, but it’s worryingly easy to walk to the edge of the waterfall and peer over the edge – don’t. The walkway will be closed until May 2017, so instead, walk round to Nellie’s Glen – around 100 metres up the hill. 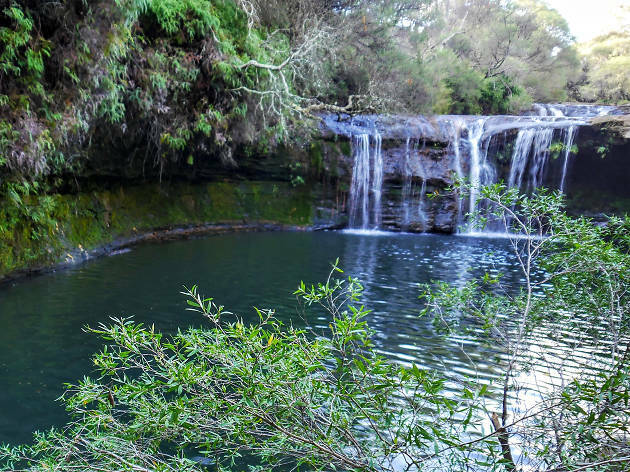 There's a natural rockpool that's deep enough for laps and people take turns in the shower, including young kids. 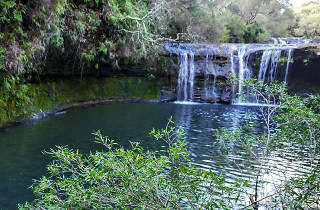 Bring towels and settle in for the afternoon, watching the dragonflies and butterflies that skim the water.